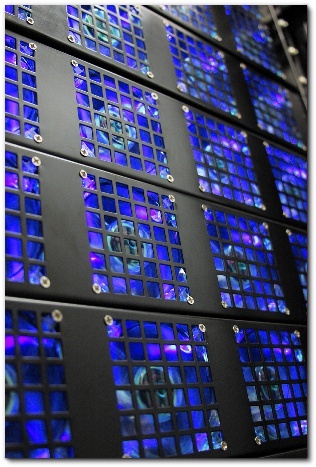 WideBand High-Security Data Hosting Services are powered by custom designed fs[ix] (pronounced physics) S-10 Servers. These data center optimized systems are manufactured and then maintained 24×7 by expert WideBand personnel. fs[ix] S-10 Server highlights include: Up to 24 Terabytes of Storage, 32 Gigabytes of RAM, Multi-core Processors, and 10 Gigabit Ethernet Ultra-Low Latency Network. The hosted approach provides many advantages. Enterprises that select WideBand High-Security Hosting do not have to deal with the hardware, which reduces burdens such as vendor negotiations, disposal, and old depreciating assets on the books. They just pay for the service each month and expand as needed. WideBand maintains replacement inventory to keep the infrastructure up and running and replaces failed components at no additional cost. As a network and server equipment manufacturer, WideBand is well positioned to provide a turnkey solution that is efficient and reliable.